For me, the HyperChrome Ultra Light is one of the coolest, cleanest watches in Rado’s collection. Yes, Rado’s heritage collection is earning some serious cred, and their design-y limited editions really showcase their high-tech capabilities. But for me it’s all about the HyperChrome Ultra Light. 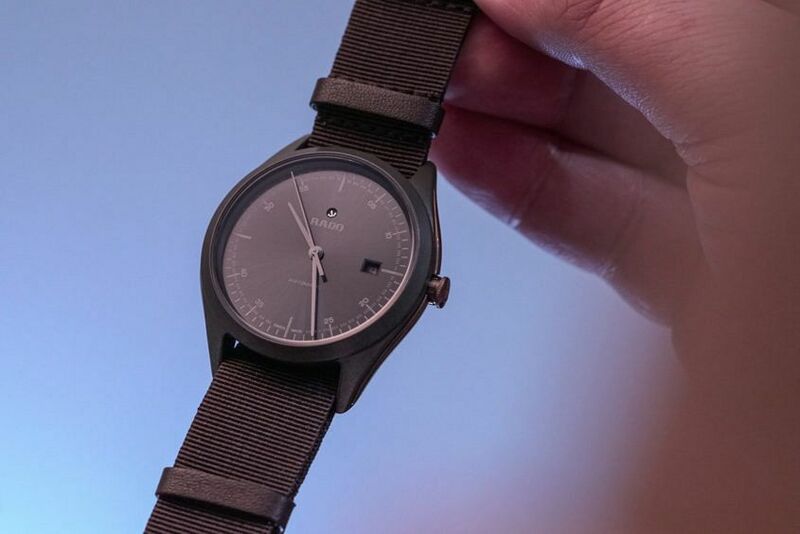 It’s a regular, round, daily wear watch (and a well-sized one at 43mm) — but with a twist. The watch weighs hardly anything — 56 grams — thanks to the high-tech ceramic and titanium case construction. It also looks good, with a clean, sunburst dial in a chameleonic black-brown colour, and minimal printed details. The gold-tone case sides add a subtle touch of bling, which keeps it from being overly or aggressively minimal. So, high-tech construction and timeless style with a twist — classic Rado.